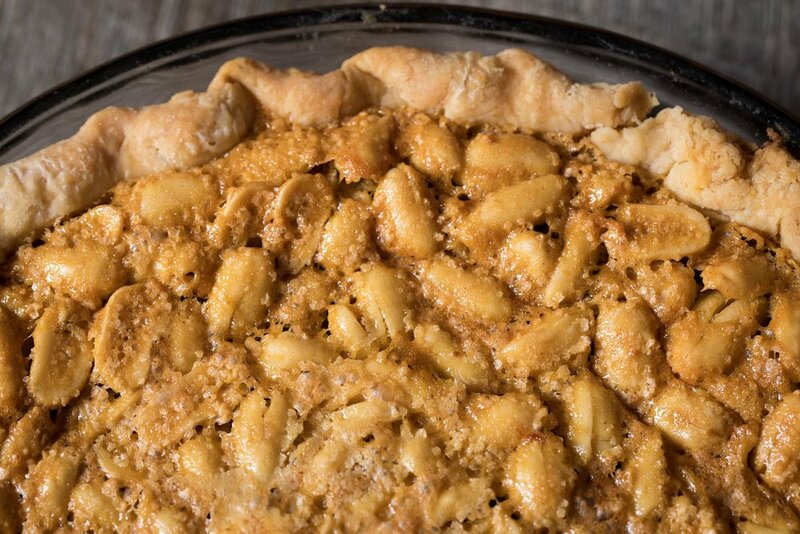 Carolina Peanut Rum Pie came to my attention while searching New Southern Baking for a non-yellow pie. (Seriously, the last few weeks have been nothing but custards and lemon pies.) 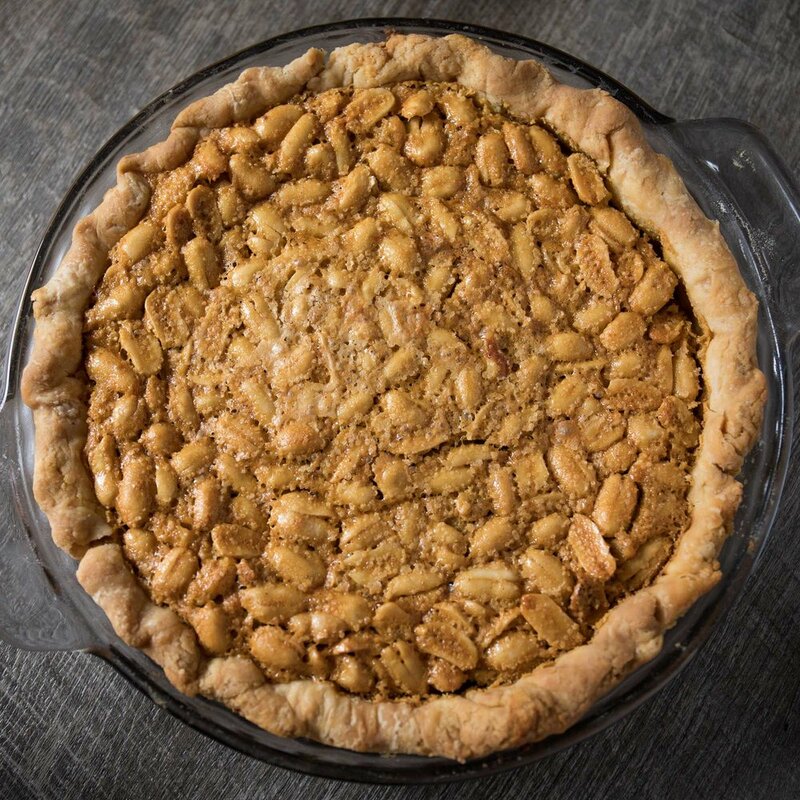 It had me at “rum” and “peanut.” Some basic research led to peanut pie recipes that mimic pecan pie, but Fowler’s uses peanut butter to mimic Sarah Rutledge’s ground peanuts from The Carolina Housewife (1847). 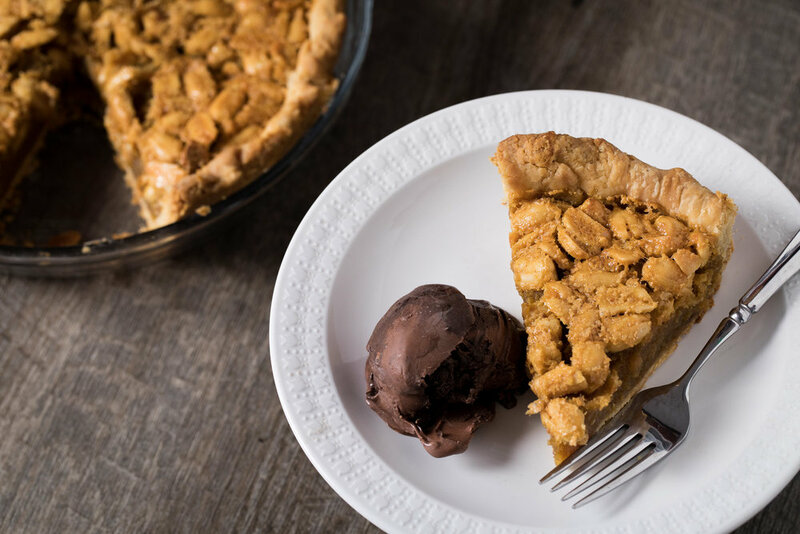 And I found a peanut butter pie in Seems Like I Done it This Way that has the same basic form. The addition of peanut butter, to me at least, sets this apart from simply being a pecan pie made with peanuts. The method is pretty straightforward. 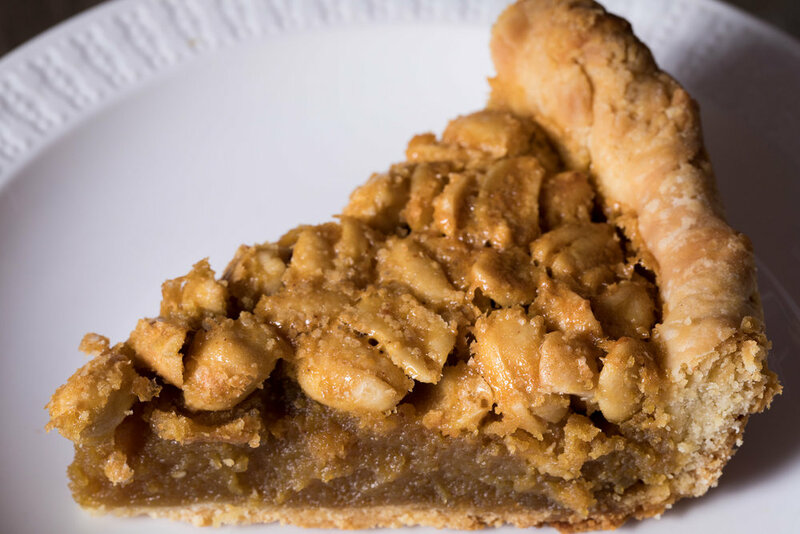 Mix the filling, fold in the peanuts, and pour into a par-baked pastry shell. Overall, I like it. Everyone else liked it, too. It still tasted a little too much like a pecan pie with peanuts. It needed more salt and maybe more peanut butter to set it apart more. I’m wondering what toasting the peanuts would do, too, as well as replacing the white sugar with honey. A different crust, too, like a saltine cracker crust. Whisk eggs till smooth, then combine with sugars and peanut butter. Stir in melted butter, salt, vanilla, rum. Bake for ten minutes at 375˚, then reduce to 325˚. Bake till set, about 40-50 minutes.